About a week ago I made a food that reminded me of my 12 years of eating cafeteria food. I don't know what most of your experiences were but mine was good. 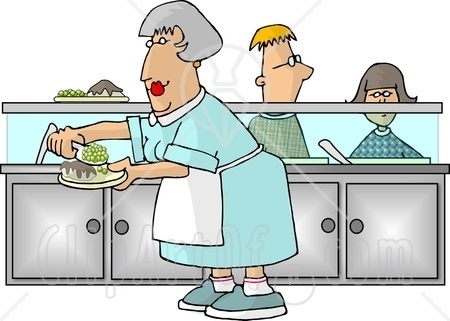 Our cafeteria ladies cooked real food and cared about the students. As a child I ate breakfast school cause you could have pancakes, french toast, eggs or cereal depending on the day. Not only that but before the schools combined if you ate the two pancakes you were served you could come back for a 3rd. Also you could ask for double open. We weren't charged extra. They knew some kids liked Peanut butter on their pancakes and they would have some out. They did the little things they didn't have to do. The head cook at our little school was Mary Ellis who has passed away many years ago at this point but my good memories are linked to cafeteria ladies that cared. Later when the schools combined we were convinced that on the days that Mary did not serve that the food was better because she had cooked it. Probably crazy but if nothing else we knew she cared. But what sparked this memory was chili. I know that sounds strange but at our school you could have your chili with or with out rice scooped on the bottom before the chili was put on top. I suspect that this was a way to make the chili go further but it tastes great. Now my 5 year old wants rice with his chili. The other distinct food memory was cinnamon roll day which is probably not allowed anymore. But on the day that ham green bean and potato stew was served(yes this is regional), there was always homemade cinnamon rolls with sticky icing not the white stuff. This only happened every couple of months. It only got better. The next day if you ate breakfast you got the rest of the cinnamon rolls. I am sure that schools now have food catered in but I would not trade the love and the care that went into the food for all the premade pizza in the world. So with this blog I want to say thanks to all the people who work hard in non glamorous jobs that make a huge difference. Cafeteria ladies are the best.